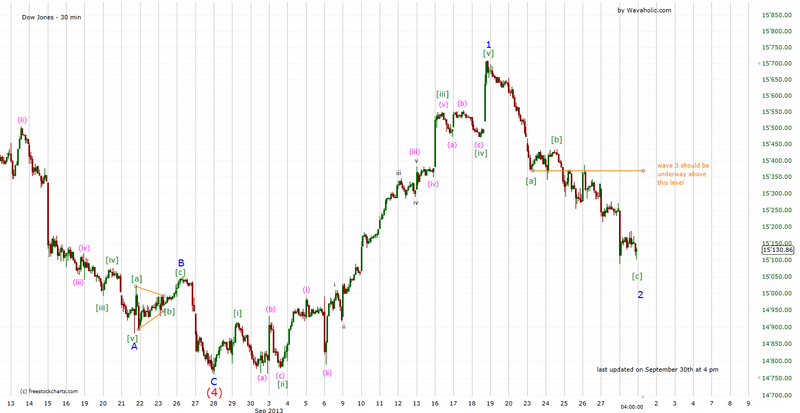 So far, no important resistances have been breached and thus wave 2 is still underway. Wave 2 has already retraced about 62 % of wave 1 and thus should end very soon. Once it's completed, wave 3 to 16000+ should follow. Should we go much lower from here though, something else is likely underway.